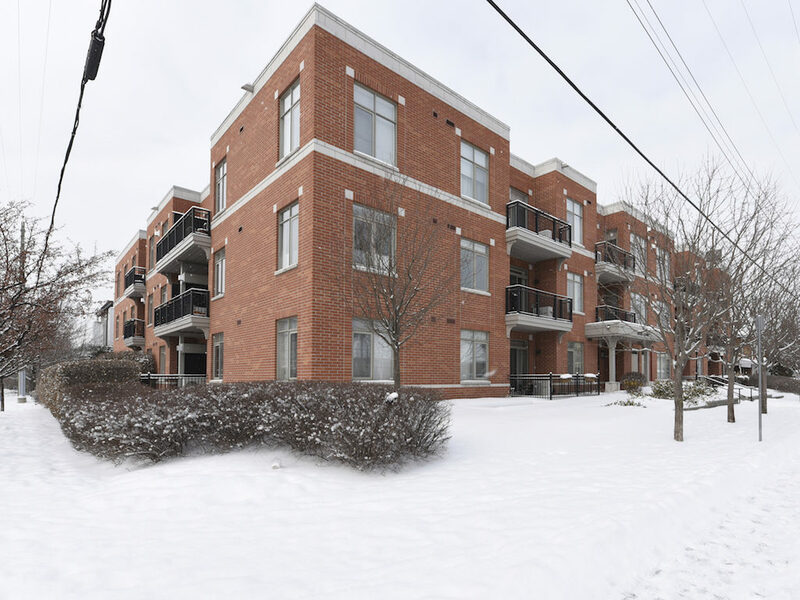 This beautiful, conveniently located, urban contemporary condo is just steps away from the picturesque Rideau River. Surrounded by nature and filled with sunshine, this home is move in ready and offers hardwood flooring throughout. The bright kitchen includes all stainless-steel appliances, 3-drawer pot and pan cabinet, pull out shelving in the pantry, and attractive pot lighting on a dimmer switch. The open concept living/dining room offers an inviting gas fireplace with black ceramic tile hearth and surrounding finish. It provides easy access to a private balcony with natural gas BBQ hook up, overlooking the quiet residential street. The 4-piece bathroom showcases a beautiful granite countertop, combination shower/tub, and attractive tiling throughout. In-suite laundry ensures that everything you need is in one convenient location. Flooded by natural light the master bedroom offers ample, well organized storage and large bright windows. Secure, underground parking in a heated garage and personal storage locker are included. Notably, one of the most convenient parking spaces in the complex. Enjoy walking, biking, & roller blading along the river. The Rideau Sport Centre by the river offers many fitness choices, Yoga, Tennis, & more. It truly cannot be missed. The Adàwe pedestrian crossing conveniently links River Court to downtown and Ottawa University. Excellent centralized location close to 417, transit, shopping, Byward Market and downtown core. Just move in & enjoy! Highway 417 to the Vanier Parkway. Heading North on the Vanier Parkway, turn left onto Donald Street, then right onto Marguerite Avenue. Total Sq. Feet:757 / Approx.